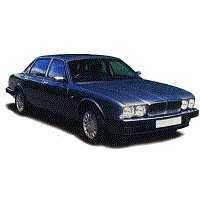 Custom tailor made car cover for the Jaguar XJ saloonfrom 1986-1994. This cover comes in its own handy case and fully tailor made including door mirror pockets. When you have decided on the cover you need, simply change the boxes below to the correct type of car cover for your Jag. I bought a Stormforce cover for my leaky Daimler XJ40 back in November and it has been in use since then. I was advised to remove weekly to ensure no condensation build up inside. Circumstances have meant the cover has not been removed for just over two months. I did, however, leave the passenger window open about two inches. The cover was removed on Sunday for the first time in 2019 and it was as dry as a bone! Window gap ensured no condensation and I have never known the interior so dry!! Thank you for a great bit of kit and with Storm Gareth already partly here, I am NOT concerned that I will yet again be the proud owner of a Daimler bucket! !